Looking around at all the usual challenges I play in and discovered this little cutie qualifies for a few of them. It is hard to see in the picture, but I used the Cabrini Ornament die as an embosser into the cardstock as well as an actual die cut. Colored the holly with Copic markers, shined up the sides of the card with Delicata Silvery Shimmer ink and stamped the brand new never been used sentiment using VersaFine Crimson Red ink. Beautiful card for our challenge! Thanks so much for playing along at CCCB!!! I have this die in my collection and still haven't played with it yet!!! Oh Penny...this is so lovely! And I like your embossed background, too! Thanks for sharing your gorgeous card at Scrapy Land! Good luck! Heavens to Betsy - THIS is INCREDIBLE and BEAUTIFUL and so WELL DONE!!! 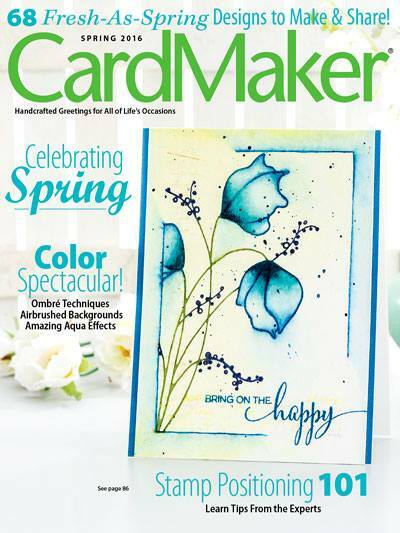 Can I just tell you that I love the way you make cards - you pull out all the stops and try so many awesome things - I admire that about you so much!!! Love the holly on this and just how sparkly and pretty everything is!!! Wishing you a super happy weekend!!! Oh Penny, this is such an elegant Christmas card! 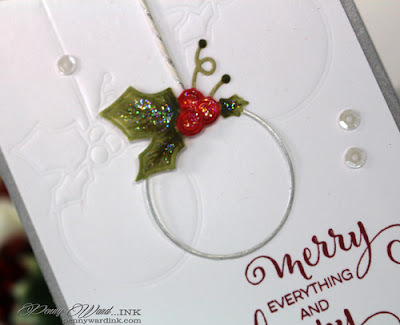 I love the sentiment you used and that Cabrini ornament die is so delicate looking! Thanks for playing along with us at Scrapy Land Challenge #25! CAS at its best; and a fabulous take on our theme! Thanks so much for joining us at CCCB this week! Gorgeous card! Such a wonderful design!! So pretty! This is very pretty! I saw it on Darnell's NBUS Challenge and just had to comment. It's beautiful! Love the ornament and the holly.